Ballet dancer Shoko Nakamura, who had a successful career in Europe, has moved her base of activities to Japan — mainly to dance for the K-Ballet Company in Tokyo. 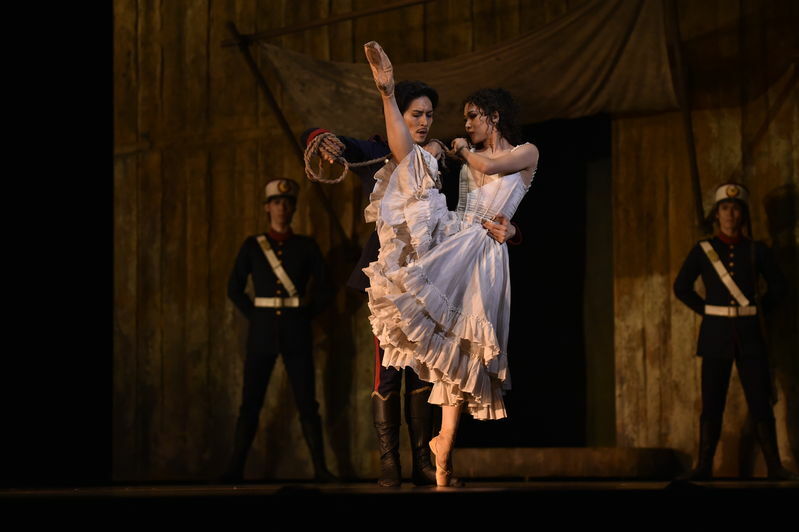 To mark her return to Japan, Nakamura performed the title role in “Carmen” at Bunkamura Orchard Hall earlier this month in Shibuya, Tokyo. The production was choreographed by K-Ballet Artistic Director Tetsuya Kumakawa. Nakamura is rather tall for a female ballet dancer at 173 centimeters. She is known for her delicate expressiveness and a physique comparable to those of Western dancers. After working for the Vienna State Ballet and the Berlin State Ballet, she moved to the Hungarian National Ballet in 2013. “The troupe has many classical programs in its repertoire, such as ‘Onegin’ and ‘Manon’ — programs any ballet dancer would love to dance at least once. 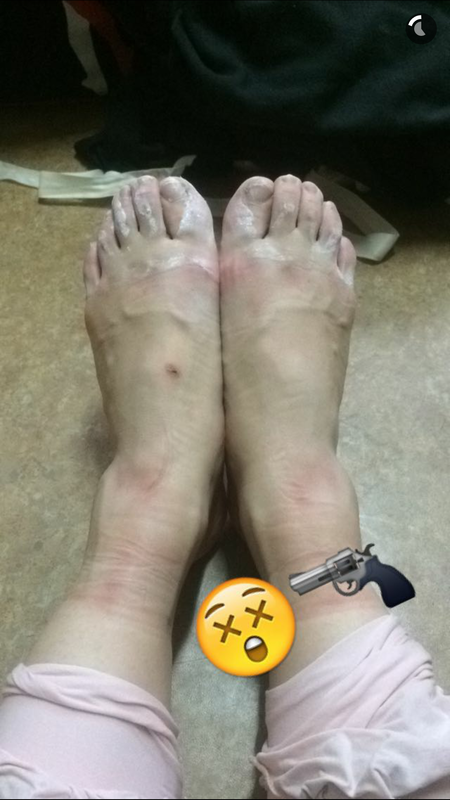 I thought I would regret it if I didn’t take on the challenge,” Nakamura said. She decided to move to Budapest with her son and leave behind her husband Wieslaw Dudek, who was her colleague at the Berlin State Ballet in Germany. Ballet is popular in Budapest. “The seats were full all the time,” Nakamura recalled, so she was always practicing two or three programs at once. She gradually came to wish to take on another challenge — dancing predominantly in Japan. When she talked to Kumakawa about her intention, he was willing to have her dance in his troupe, which she had worked with many times before. She then moved to Japan with her family. Nakamura made meticulous preparations to build the character of Carmen, known as a femme fatale. She carefully built up the character by exposing her shoulders from the dress, putting on thick makeup and wearing showy earrings. Nakamura is expected to be an inspiration for Kumakawa when he choreographs new works. Nakamura will perform in “Swan Lake” with K-Ballet Company on Oct. 31 and Nov. 1 at Orchard Hall, and on Nov. 5 and 8 at Tokyo Bunka Kaikan in Ueno Park, Tokyo. Fear, vulnerability, passion – the dark extremes of human emotions dominate the three works of the ballet program “Duato | Kylian | Naharin”. While “Castrati” by Nacho Duato revolves around the fear of an aspiring singer before castration, Jiří Kylián’s “Petite Mort” deals with the aggressive as well as the vulnerable sides of sexuality. 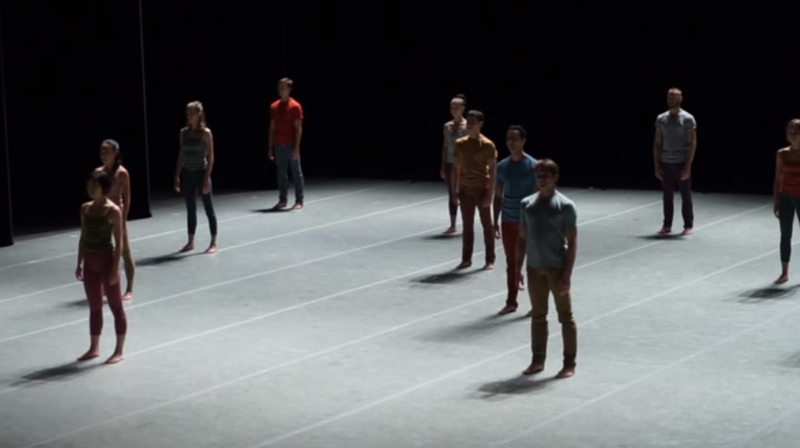 “Secus” is an abstract work by Ohad Naharin, based on power, extremes and raw meat. Screenshot from “maiito1996”. Who has the best ballet channels on Snapchat? 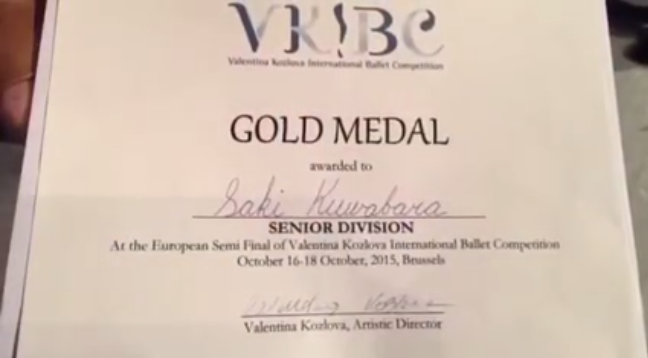 Congratulations, Saki Kuwabara and Gregor Glocke! Congratulations on winning in Bruxelles. Music by Berio, Franck and Veldhuis.